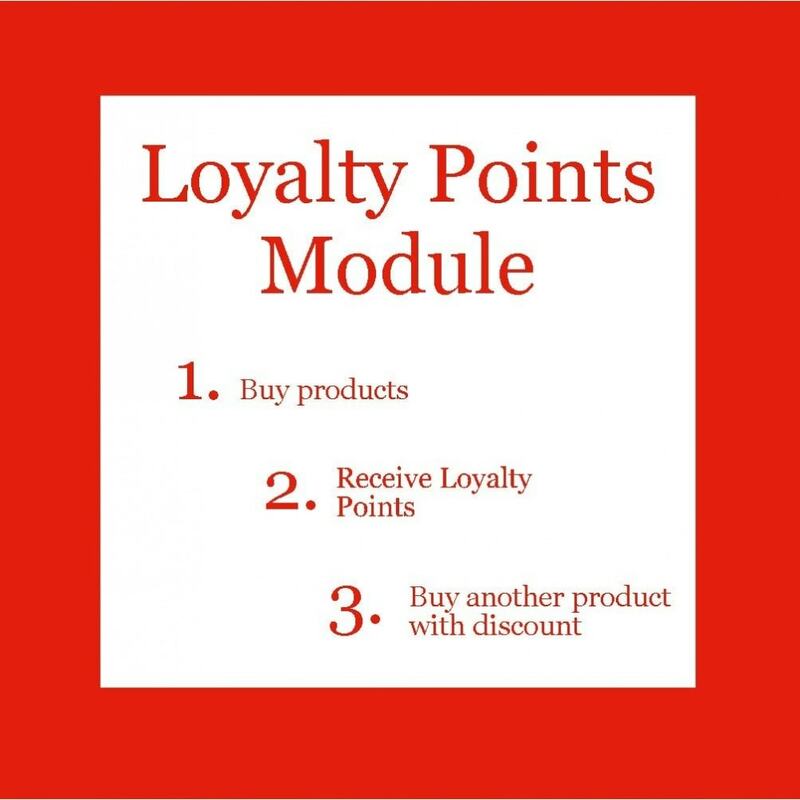 Increase sales by offering a loyalty program to your customers: customer retention by offering discounts on next purchases. 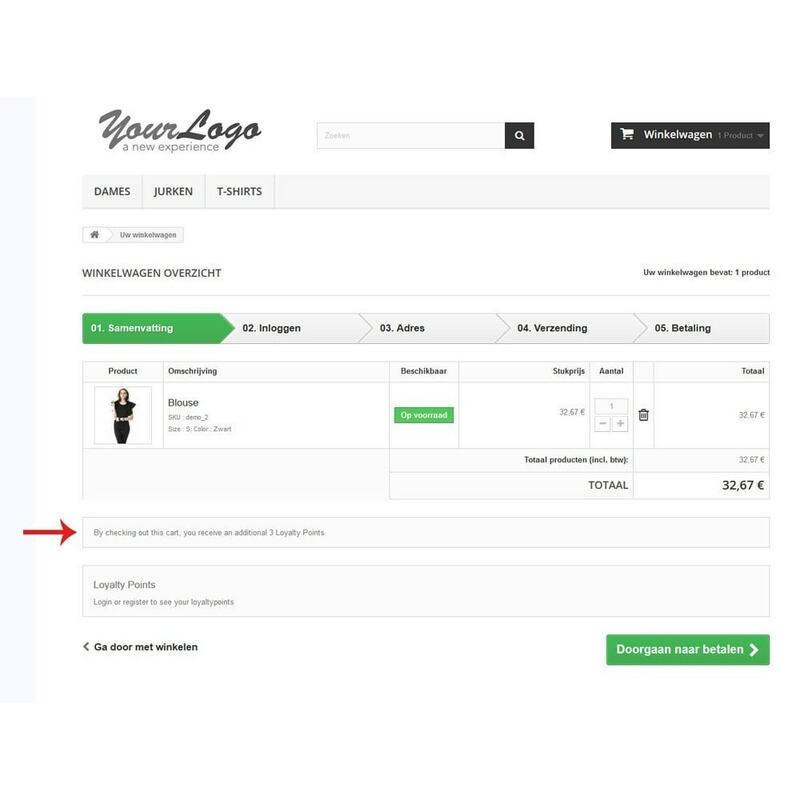 Points are fully automatically granted at a purchase or refund. Manually granting of cancelling points also possible. 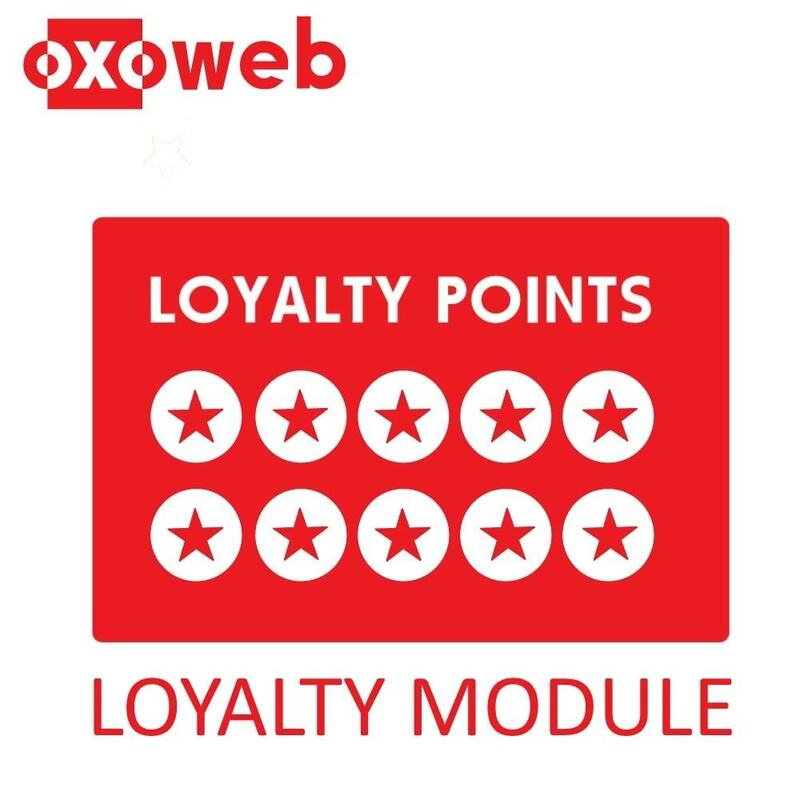 Granting points at purchases of customers. 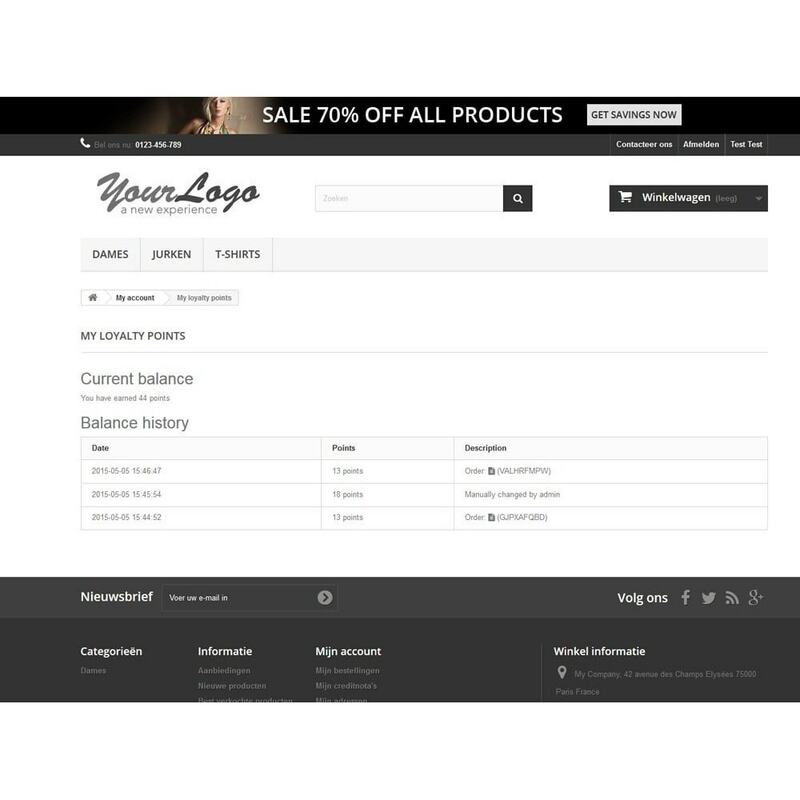 Customers have insight in their balance, including extensive change table which shows the build-up of the balance. Multistore-functionality: points are linked to an e-mail address, whereby customers can use the points in different shops. The customer himself is capable to change his points into discount or coupons. 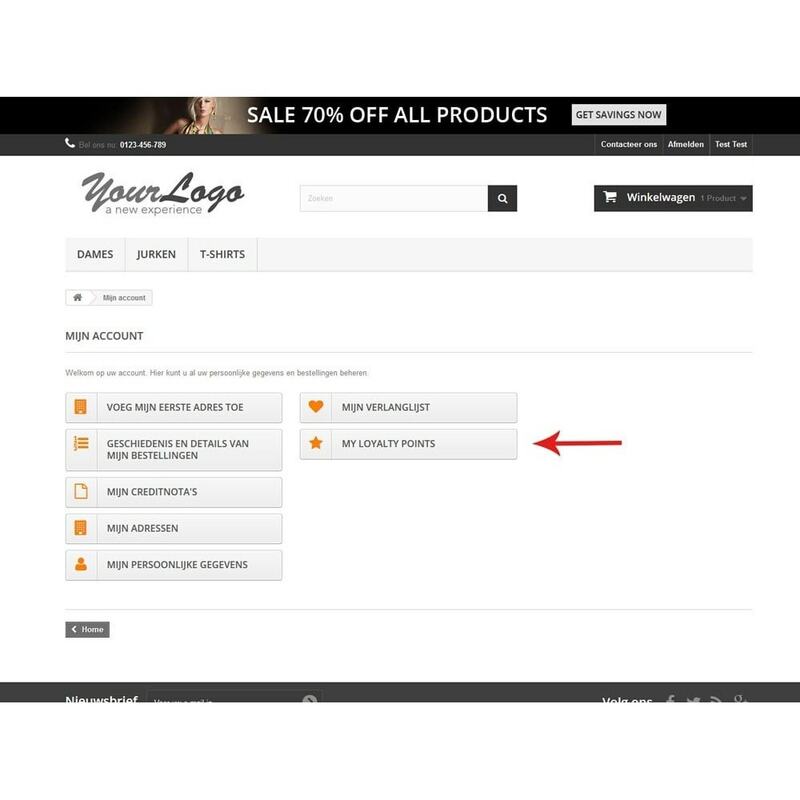 Possibility for the admin to search for customers (by name, address of postal code) and manually change the balance. Lots of configuration options: point value, changing the number of points in certain purchase quantity, changing minimum order quantity for granting points, set if points are granted or not over shipping costs/packing costs/discounts/taxes. Customer only receives points after payment of the purchase. 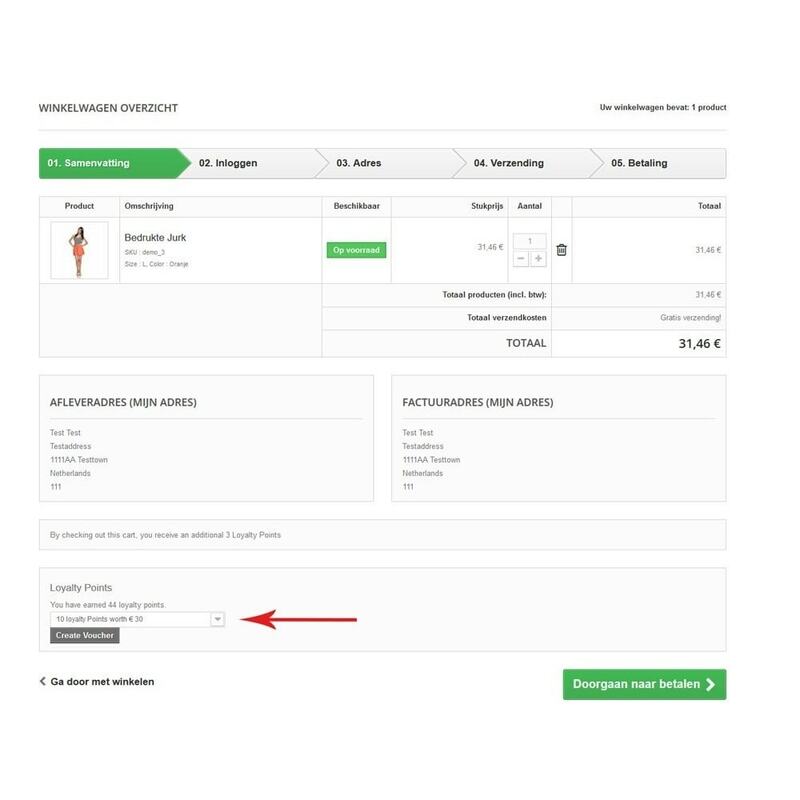 Das Prestashop-Modul für Ihren Online-Shop, mit dem Sie den Überblick über die Umsatzsteuer Ihres Unternehmens schneller und leichter zugänglich machen können. By making purchases, save for discounts on next purchases. The higher the purchase amount, the higher the obtained points. This allows for shopping carts with more products in it. Extensive change table available which shows the build-up of the balance. Points can always be converted into discounts or coupons. By checkout order, always the possibility to use points or not to take advantage of discounts. Cooperates with other PrestaShop modules. Easy to install without taking additional steps.